Panama is known for the greatest man-made creation, the Panama Canal, but people don’t realize Panama`s emergence has great importance. Panama emerged 3 million years ago, creating a barrier between the Atlantic and the Pacific Ocean, uniting two continents (North America and South America) and contributing to the migration of species North to South. This led to a monumental change in the biodiversity of the world. Frank Gehry, the renowned Canadian architect known for the Guggenheim in Bilbao, Spain; after 5 years of waiting and 10 years of construction finally presents his uniquely designed Biodiversity Museum to tell the hidden past, inquisitive present and the attractive future of this small but flourishing isthmus that change the world. Where is it located? The Biodiversity Museum is located in a strategic spot on the Amador Causeway, you can see the contrast in Panama´s growing skyline, the greenery from Cerro Ancon and look out into the Pacific Ocean to see boats cruising towards the Canal. The Exhibitions: The Biodiversity Museum has eight galleries, presently five are hosting exhibitions. Biodiversity Gallery: When you enter the first gallery, you will listen and see the abundance of life here in Panama; not only its fauna, but flora as well. Panamarama: Be prepared to be transported into Panama´s ecosystem with the help of ten screens and audiovisual display. Building the bridge: You will learn why Panama is known as the “Bridge of Life”, through the geological explanation of the emergence from the sea. Worlds Collide: Beware! The animals might come alive in this exhibition. When the two land masses, North and South America came together, Panama became one of the main stomping grounds for a diversity of animals. The Human Path: The history from when the first settlers arrived to the Isthmus until the present is portrayed in sixteen columns, each representing an important story on the human and nature relationship in Panama. Additionally they have three temporary exhibitions. Giant Sharks and Tiny Camels – Present until Saturday, December 31, 2016. With the Expansion of the Canal, new discoveries of fossils have been exposed. The Biomuseo of the Future – Present until Saturday, December 31, 2016. You will have the opportunity to learn more about the future three galleries that are coming to the Biodiversity Museum. Gehry in Panama – Present until Sunday, July 17, 2016. Why Panama? There´s a reason why Gehry choose Panama from other Latin America to build this museum. Learn more about this interesting story and it´s construction. Old Officers Club, Amador Causeway, Panama City, Panama. Take advantage of the recent rioting that scientists have discovered the Smithsonian about these extraordinary insects. The Boys in the Chinese-Panamanian School will show us the work they do with composting worms. … Literally. We use flowers, leaves and seeds instead of crayons. With the storytellers of the Panamanian Red storytellers in our beloved Corotú. Where you all kinds of organic products: soaps, herbs, ointments, vegetables, ginger candy, chocolate, pastries, eggs and fertilizer from regions as Zapayal (Darien), Cuculo (Los Santos), the waggish (Veraguas). Darien will also have crafts Tuira region and Jaque. What is all this fuss of organic? If you do not know what all the fuss with the organic, do not miss our talks about where you explain how it relates to our biodiversity. Have we broken the cornucopia? What is wrong with the way we produce food. – José Manuel Pérez (UNDP). Organic, sustainable and local. – Eylon Israel (Coriander Red). Finally, take the opportunity to visit Biomuseo construction, a unique opportunity to work in this class, and participate in our presentations to find out what you’ll find inside. 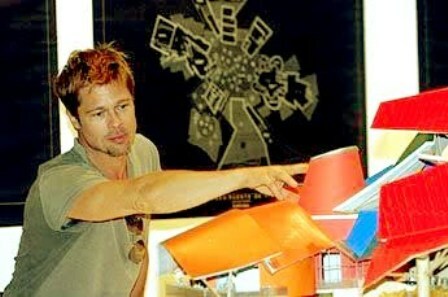 Even Brad Pitt and Al Gore are some personalities that already visited, what you are waiting for? Biomuseo is the first building design by Frank Gehry in Latin America.